Want you party to stand out? Well our Toy Story bouncy does a great job with its impressive artwork. High wall and sewn in rain cover, for those rainy days. This inflatable is suitable for children up to the age of 14. Toy Story is an American animated series created by Disney Pixar. 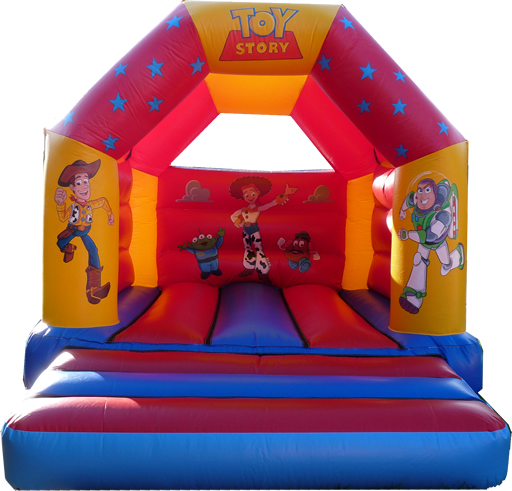 The inflatable features the characters Woody, Buzz Lightyear and other colourful characters from Toy Story.